Dr. Saltz is a native New Yorker who moved down to South Florida during the same year that Disney World opened in 1971. She received her BA in Biology from Jacksonville University in 1980 and graduated from the College of Osteopathic Medicine and Surgery, now known as The University of Osteopathic Medicine and Health Sciences in Des Moines, Iowa in 1984 with an outstanding award in Otorhinolaryngology. She has been practicing family medicine in South Florida for the past 30 years and has been a member of the American Osteopathic Association and the Florida Osteopathic Board of Family Physicians when she became certified in 1998. 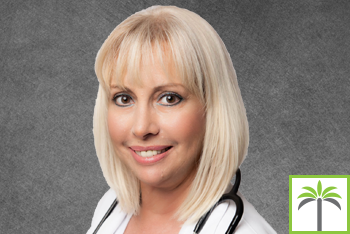 Dr. Saltz was on the teaching staff at Nova Southeastern University in the mid 1990’s, where she educated second-year medical students on physical diagnosis and attended to patients at the schools’ clinic. She continues her desire to inform the public about pertinent medical issues by giving brief online lectures on topics such as hypertension, diabetes, and headaches.